The stars shone more brightly than I’d ever seen before. We were so far from a city, a town, or any electricity, that we were able to make out individual stars against the inky black sky in a way that I was unable to do at home in the suburbs of D.C. I stood surrounded by Mayan women in traditional embroidered cotton dresses. I wore one too against my sunburned skin. It was our last night in this remote Mayan village on the Yucatan Peninsula. For one week of our two week trip, we’d been mixing cement, gravel and water on the ground, hauling it in buckets to the church rooftop, and pouring it on top of the cinderblocks and beams we'd put there. The villagers had taken years to build the walls of the building out of rocks and cement, but they didn't have the resources to put a roof on the church. The process had to be done quickly, all at once and at great expense, whereas the walls were built over time, rock by rock. It was 1985 and this was my church youth group’s first international mission trip. I was the youngest participant at 15. It had been a week of hard work, laughter, and inspiration, and next week we’d head to a different village to do it again. Sleeping in a hammock in a thatch hut, turning over my steel toed work boots each morning to shake out wayward scorpions, and belting out Barry Manilow tunes while hoisting buckets of concretet overhead gave me an experience of a lifetime. My best self showed up here. Not my vain, petty, self-conscious self. But a girl who could look beyond her physical comfort for just a little while, and be connected to God and His people. Trench latrines didn't bother me, and showering fully dressed outside in the rain during afternoon thunderstorms made me feel cleaner than my shower at home. I felt born for this. Standing among the short Mayan women, I felt tall even at just 5.5. But I also felt small. For the first time I was experiencing a world beyond my suburban lifestyle, and I was experiencing God beyond Sunday School classes and youth group. I was among people who believed in God’s provision, in miracles, and the transforming power of faith not as an add-on to their regular, busy lives, but as the cornerstone. Their everything. Not for a week, but every day. I thought of the church walls as a metaphor for a daily life of faith, little by little, growing and reaching toward the sky. And I couldn’t fathom in this great big world that I’d see these new friends again. I wasn’t even sure that’s how it all worked, but I knew that they loved God, and I loved God, so we were connected. In a few days we'll leave for our annual camping trip in WV. We didn't go last year because it just seemed too sad. This year we are going to try. It will be weird to be away from cell phones and computers. In the past two years our use of electronics has ramped up substantially with Margaret getting an ipad and with my online community (THANK YOU!) being such a support. Our campsite is so remote, we'll most likely all be having withdrawal symptoms. My sister and I are both also really hoping to get our periods, because that makes using the latrines that much more fun. Please pray for Jack's favorite cousin who will not have Jack to share a tent with and who will be celebrating his 15th birthday during the trip. For a glimpse of what we'll be doing and eating, check this out. Fried Oreos, anyone? And to read about the hottest camping trip ever, go here. I hope your summer trips are more fun than work, or at least about equal, and that you're taking lots of great pictures. p.s. I was driving down the highway on Sunday and looked up in the sky to see a perfect X and O out of clouds. Not sure whether those were for me or for you, so I'm passing them along! Sunday morning I sit at my desk trying to put into words what kind of kid Jack was. I am hoping to write something worthy enough to be read at his memorial service tomorrow. This desk is where I write my blog, recording the funny things the kids say and detailing my latest thrifty home projects, most of which involve spray paint. It’s been two and a half days since our lives were turned upside down, and I try to be inspiring, honest and positive when all I really want is to turn back the clock. Beside me is Chris, my high school friend and college boyfriend. He has dropped everything, and with the blessing of his wife and three kids, has flown in from Wisconsin to be by our sides. “I’ll do anything,” he says. “Clean the gutters, take care of Shadow. Read at the funeral. 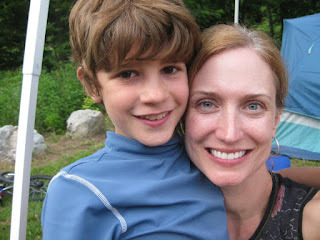 Anything.” He has learned a lot about grief since his best friend dropped dead at 40. He has learned about showing up. So this is what he does, shows up and sits next to me as I try to describe my boy. Chris and I were dating when my mom died. I had flown back to Virginia from attending a dance with him in Colorado, and the next day my mother died while I held her hand. I had to call Chris and tell him. When he said he’d fly home to be with me, I told him to stay to take part in a wedding where he was a groomsman. I said it, and I meant it, sort of. This was long before I had heard the term “passive-aggressive,” but on the day of the funeral, I really wish I’d asked him to be there. I didn’t know I’d need him, but I did. So now, even though we’ve seen each other only a handful of times in the past 20 years, he sits next to me, and I run different phrases by him. After a while he says, “Um, Anna, I feel like you are glaring at me like I did something wrong and you want to murder me.” He’s treading lightly, but he’s brave and says it anyway. And he’s right. “I’m glaring because I’m so damn mad that Jack is dead! But I’m not mad at you.” And he’s cool with that, and calmly suggests that maybe I glare at a point on the wall slightly above his head from here on out, and we both know he’s the perfect person to be with me right now. I get something down that captures a little slice of Jack’s home life, and hopefully gives comfort to those who will be at the service. I describe Jack’s interests, his homebody personality, his humor. I don’t know how to capture his humble nature, his generosity of spirit, his laughter, or the way his world became our world. Chris says, “I know you aren’t sure you can read this. And people will say you don’t have to, because they want to protect you. But I know you can do it and I think you should.” He’s right. I mean what the hell do I need protecting from at this point? I want to be the one speaking for Jack. I am his mother. So I will. I look at Chris and think of the sacrifice he made just to show up for us. I don't know if I'd have the guts to do that for a friend separated by such time and distance. I think of his wife and kids who are juggling so many things at home so he can be here. I realize I have something to learn from Chris today. And I inwardly make a note to myself to share with Margaret that it’s certainly a lot easier for exes to show up for each other in times of crisis if they’ve never slept together. We have been doing house stuff-- purging and rearranging rooms-- as we strategize the next steps for our family. I took it upon myself to take apart Jack's room. It was my choice, yet it was still unbelievably difficult. I do not recommend doing this before it's absolutely necessary. And for some, it could be fine to leave things exactly where they are forever. When my mom died, I took 10 years before I was ready, and I resented anyone telling me I should do it sooner. It was their problem, trying to control my actions and responses, not mine. As you know, our family motto is, "The best things in life aren't things," and as I moved Jack's things and boxed many of them up, I wept, not over the objects, but over the hands that had arranged them just so. A Lego creation is just a Lego creation when I've moved it to a box, whereas when it's set up on a shelf, in a funny little tableau that tells a story, it's part of Jack. I moved the new school shoes that had been waiting by his bedroom door, yet never got worn. They look so small now, even though they were slightly too large for him when I bought them. His friend Cortland came over to help me carry boxes. He knew how much Jack treasured his Legos, and he handled them with reverence and care. When I looked down and saw Cortland's enormous man-feet I bit the inside of my cheek to try to keep from crying. It didn't work. I packed scout and baseball uniforms and butter-soft t-shirts, rubbing the fabric between my fingers, lifting them to my face in a futile attempt to catch a scent now long gone. I found all his baby clothes and the baby calendar where I'd proudly written down when he said his first word, "Bird," at barely 7 months old. And I sifted through school work, which he'd kept neatly in a plastic tub, every single stitch of it, preschool through 6th grade. Every paper, every project, every doodle. There was a lot of yearning, remembering, and loving as I did this. As I allowed myself many trips to the recycling bin for the things I didn't end up saving. I leaned over the trashcan-- full of notebooks, and binders and papers and things my son no longer needed-- and the heavy lid came crashing down on my cheek. Tears sprang up again as a pink welt formed. Really? Really? I made a ton of progress last Thursday, due mainly to the fact that my friend Cindy showed up unannounced and with boxes. We matched each Lego set to its instructions and original box (thanks for being a saver, Jack!) and we cried. It was Margaret's last day of school and I wanted to do the hardest part, the Legos, while she was gone. "Did you take pictures of the order everything was in?" she asked when she got home and surveyed the empty shelves. "Yes." "Good." I do believe this. With my whole heart. You can too. Margaret is now a rising 7th grader! The end of the year hoopla led to a lot of flashbacks to the end of Jack's 6th grade year. Hard to believe that from that point on we had exactly 3 months left with him. As we stood with Margaret in front of her friends and their parents at her 6th grade dinner to read the "charge" we'd written for her, Tim and I wept. Not a gentle weeping, but choking sobs. I know that tears are cleansing and honest, but I wish so much we had been able to keep it together because this was supposed to be Margaret's evening. We intended to praise our beautiful, intelligent, spunky girl for all of her accomplishments in grade school, and launch her into the next stage of her life. We would share about her strength, her wit, her work ethic, her magnetic personality, and her huge potential for the future. We would tell her she could do all things through Christ who gives her the strength she needs (Phil 4:13). Of course all the parents understood our tears, but try to imagine being 11 years old, standing up in front of 40 people while your parents sob openly, and you just have to remain there, facing the crowd. "I felt like an alien," she said on the way home. I think that may be the BEST, most accurate description of how I have felt as a griever, and I'm so proud of Margaret for putting her feelings into words. In many ways grievers feel like aliens, trying to navigate a planet that is foreign to us. While we may have once thought we fit in, those days are clouded in our memories. Our new found understanding of what is important (eternity, love, relationships) and what is not (gifted programs, promotions, money, church politics) leave us feeling separate and on the margins. We are reluctant prophets because we have neither the stamina or the inclination to stand on a street corner proclaiming our new revelations. We are tired. We are hurting. And what's the point of sharing anyway, when our knowledge has come at so high a price? When every person who lives will eventually learn these truths on his own, through the inevitable losses to come? I think of Margaret, who did not have the luxury of learning about loss as an adult, or in a gradual, natural way. At an age where being even the slightest bit different is a burden, she feels different in a significant way. If I could, I would take that burden from her. 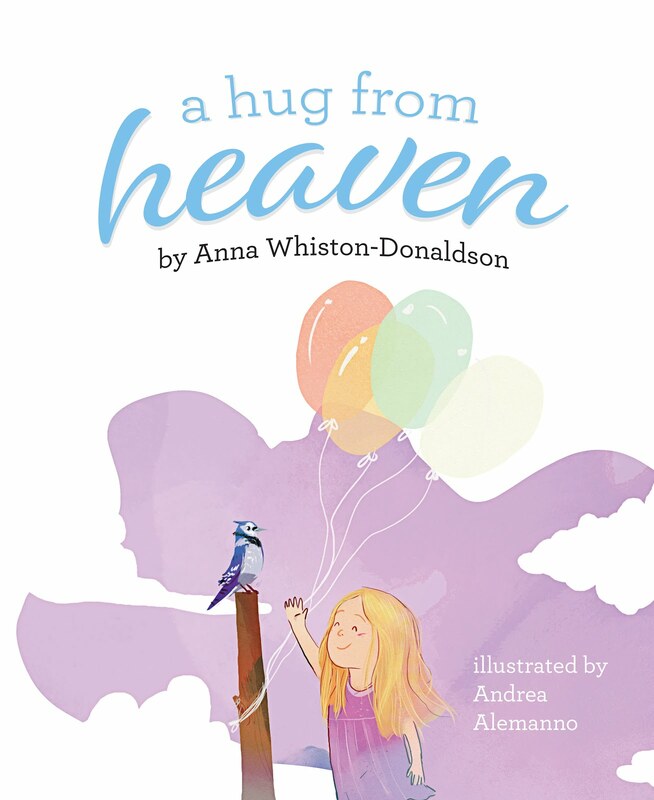 I'd carry it in a sack with me, alongside my own grief and pain, until she reached adulthood. Until she'd had a chance to experience other losses-- of a pet, a friendship, love, of a dream or two. Then I'd let it out slowly so it could settle gently around her shoulders and not knock her to the ground. And if I could read her "charge" to her again, I'd tell Margaret that she brings light with her everywhere she goes, and that light will never go out. Look what I found while cleaning our office this week. It's a note Tim wrote for Jack when Jack was 2 1/2. I don't think Jack ever saw it because it was tucked inside a notebook. Every night we would read books to you and say your prayers before you went to bed. Twice this month after we said your prayers, you put your hands on my face and said, "I'm filling your heart with life." I'm not sure where you learned that, or if you made it up, but it was very touching. You do, indeed, fill my heart with life. How beautiful is that? Here's hoping your heart is full of life this weekend. 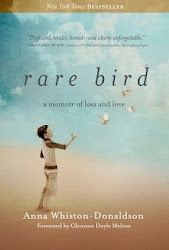 Buy Rare Bird-- A NYT Best Seller!